Last week I was on Mykines, painting some pictures. Here is a view of tha small village. Hello Pol, I've just found your blog from while looking at the Wet Canvas forum. I like your paintings and I think the knife-work really works well with the rugged landscape. I live in the far North of Scotland, so I almost feel like a neighbour! Some of your paintings of the sea remind me of places near me. 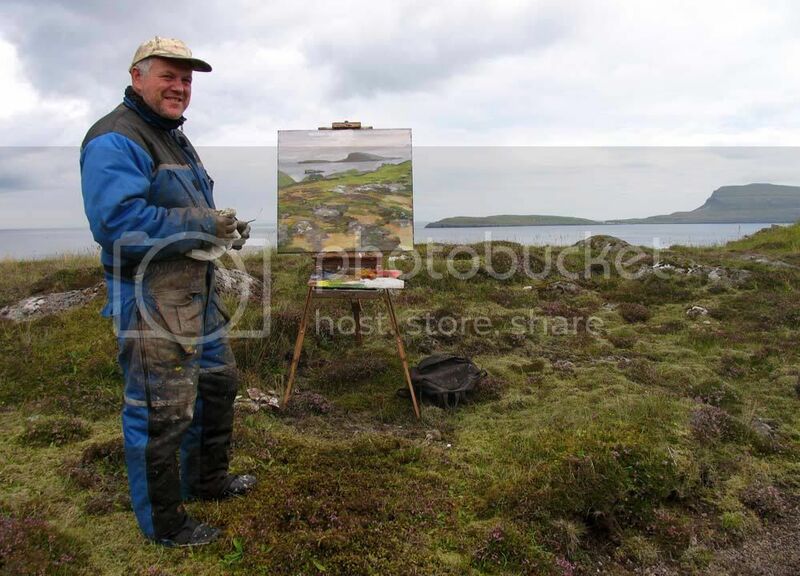 I like your location photos with your easel, it's always interesting to see how other artists work.